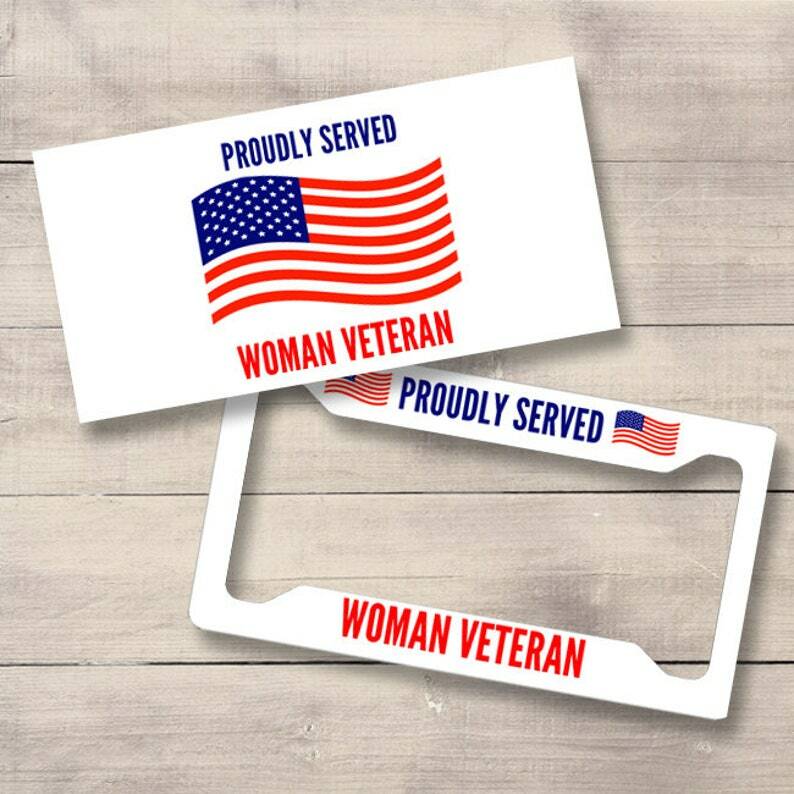 Proudly Served, Woman Veteran license plate and/or frame in a powder White. For the ladies who served our country. Car coasters are made of sandstone material. Keychains are fiberglass and square.